From the Home screen of your mobile device, tap the Apps icon. Tap Internet or Chrome™ . 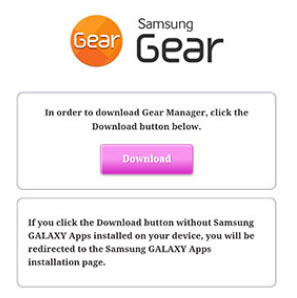 Navigate to apps.samsung.com/gear then tap Download. This link is only accessible from a mobile device.